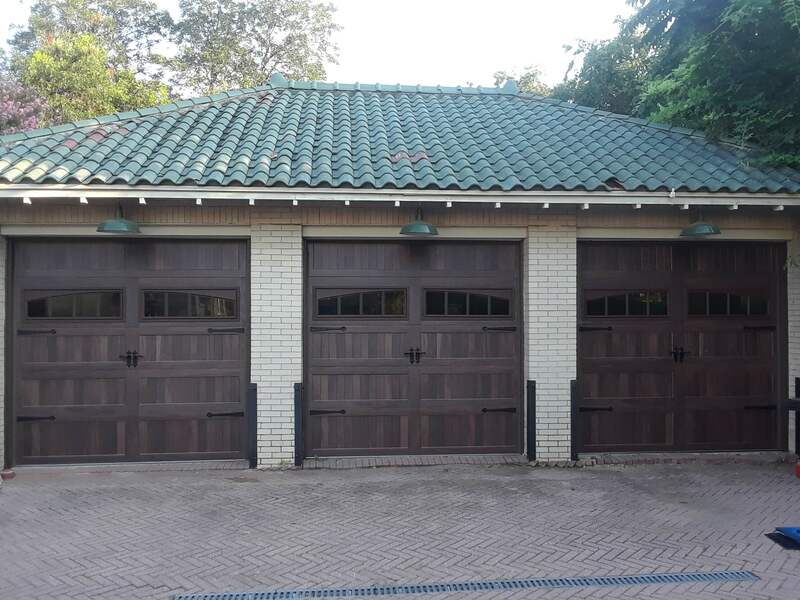 At Reliant Overhead, we believe garage doors should demonstrate both durability and class. 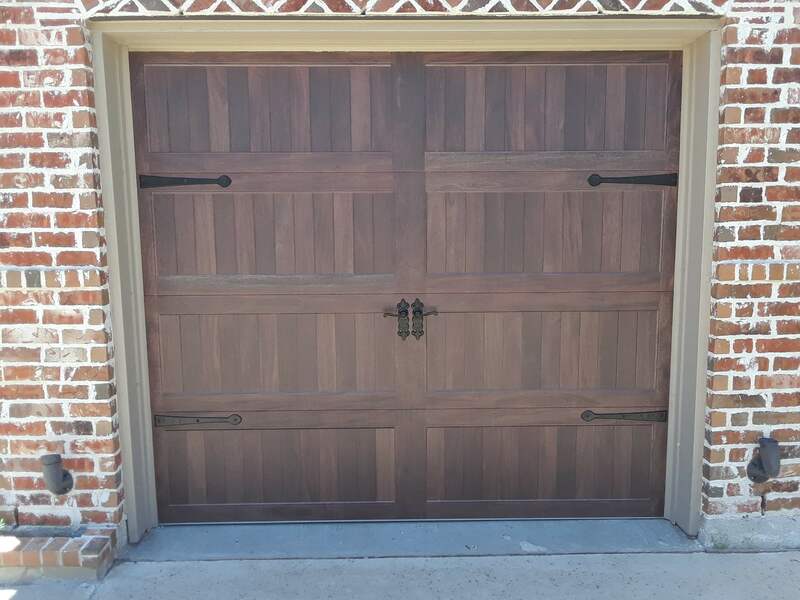 Our Accents Woodtones garage doors are meticulously designed and manufactured using full color digital imaging and insulated steel to create the highest quality, most realistic woodtone doors available. Utilizing groundbreaking advances in design and technology, found only at C.H.I. 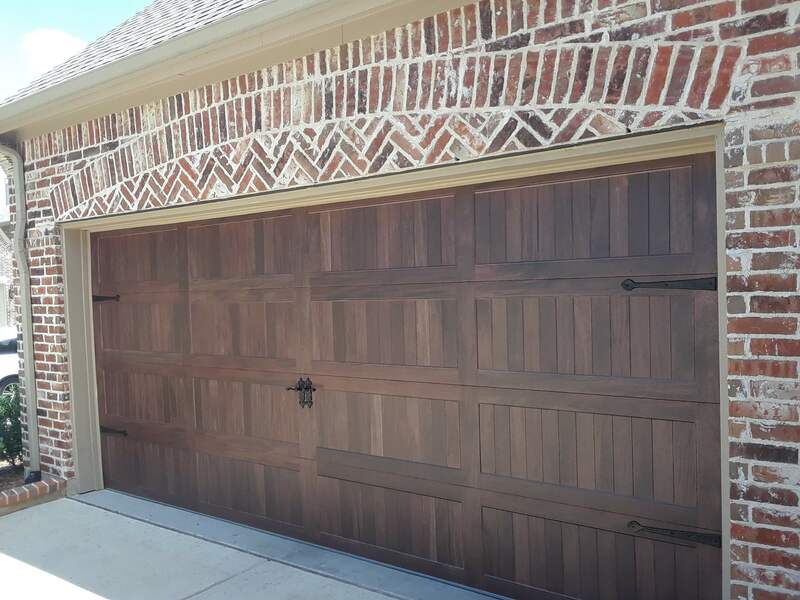 Overhead Doors, each Accents Woodtones garage door is as colorful and authentic as real wood. Maintenance free finishes that won't fade, crack, or buckle. 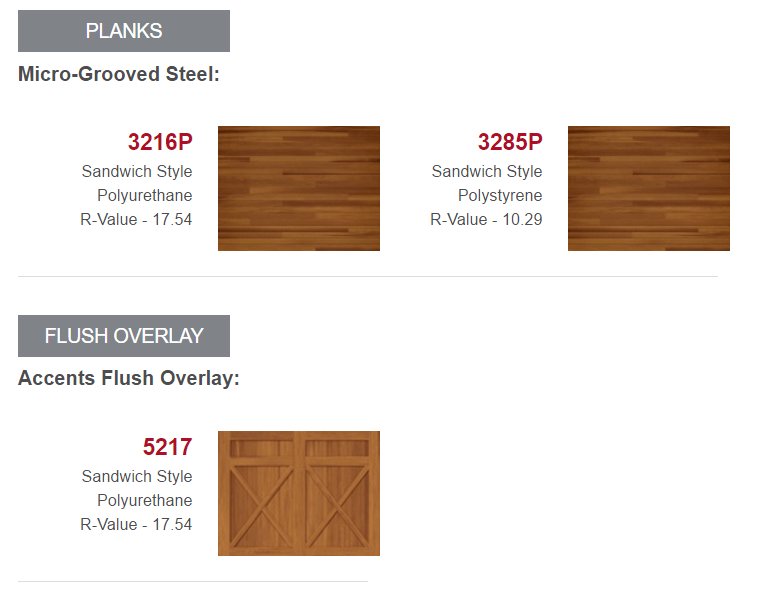 Carefully selected premium lumber that is milled with precision to uncover each board’s unique grain pattern is utilized to create the Accents designs. Only the highest quality boards, chosen for their natural design and texture, become part of our Accents Woodtones family. 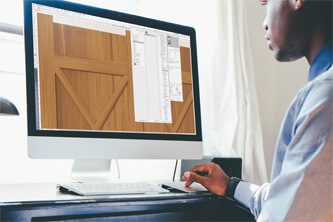 High-resolution digital scanning captures each detail of the wood and allows our design engineers to digitally construct each door board-by-board. 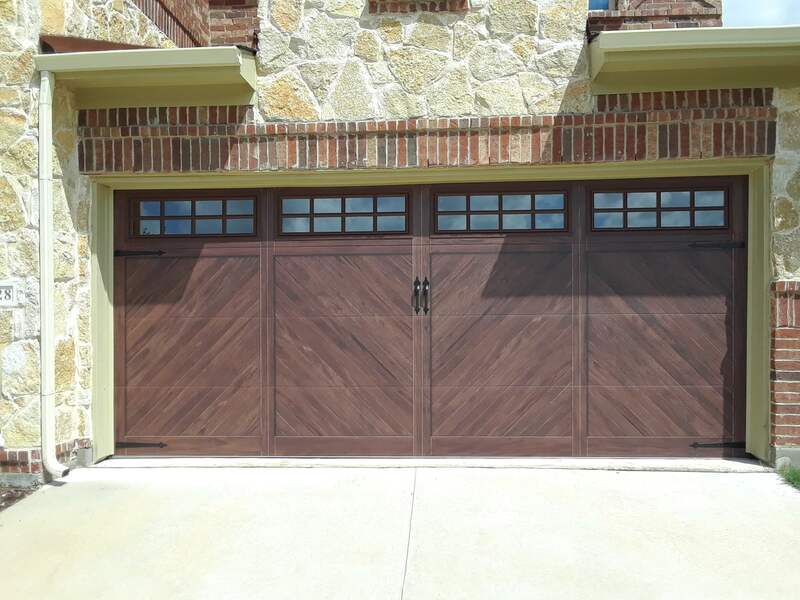 This craftsmanship provides a non-repeating grain pattern that reflects the true color and appeal of real wood. 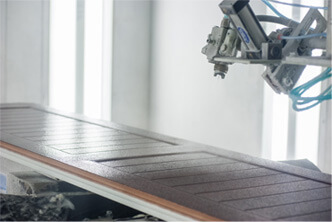 In order to ensure the classic woodtone appearance for the life of your door, the finished product is treated with an industry leading UV topcoat, providing years of protection from the natural elements. 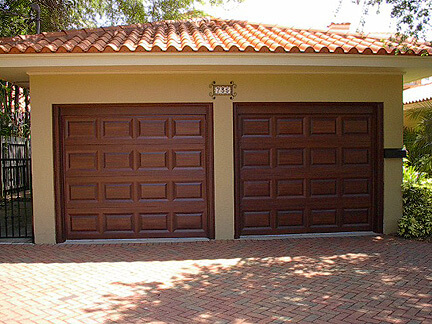 Now available, Multi-Tone Wood Grained colors available which makes your Steel garage door look like real wood, at an affordable price. 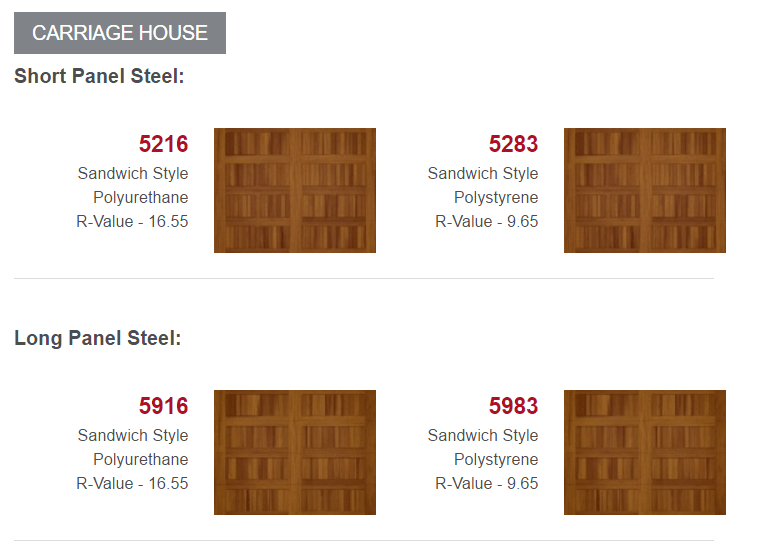 Choose from light or dark paint tones to match your desired decor. 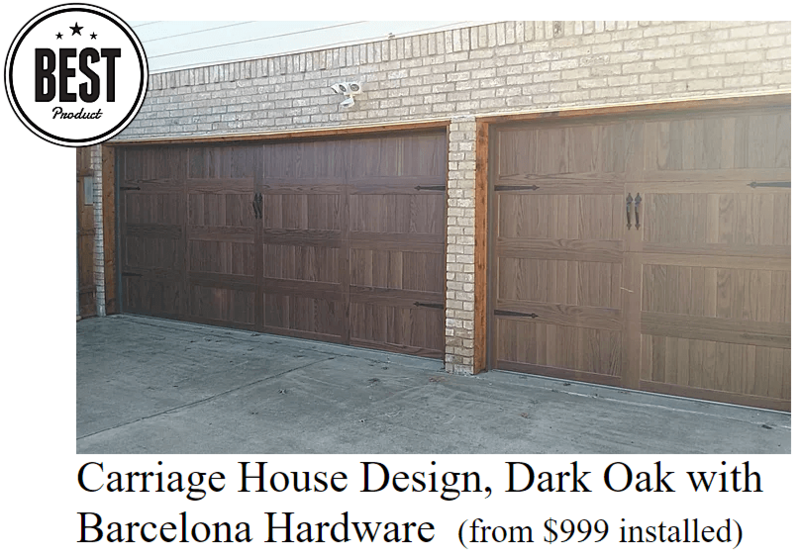 Get it installed with Dual-Spring System, Whisper Nylon Rollers, and durable Track for only $699**. 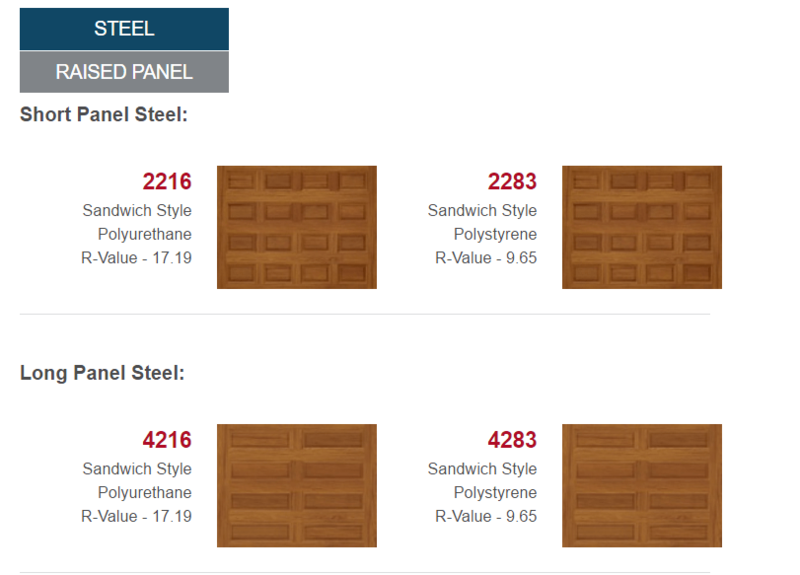 ** Price is for 8'x7' size door. 16'x7' installed for $999. 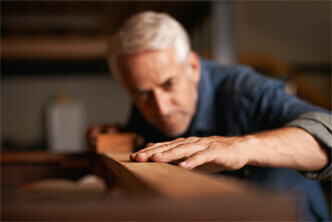 To schedule an appointment for us to provide a free onsite estimate you have a few options. 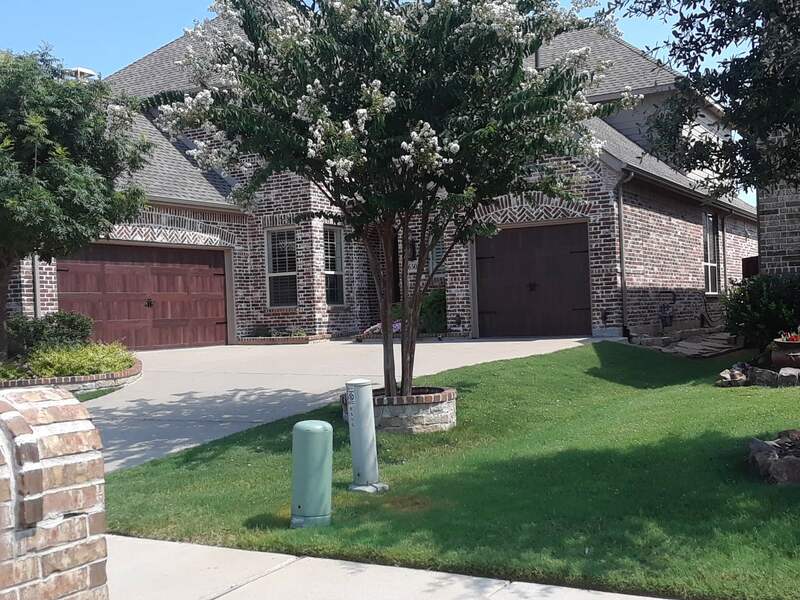 You can call us at 214-513-9322, book a time online, or request an estimate via email/text.